Although Canada’s federal government has changed Canada’s criminal law and is now responsible for licensing commercial cannabis growers and authorizing their products, the provinces are in charge of regulating distribution and retail sales of marijuana. In Ontario and the Western provinces, the sale of cannabis will be left largely to licensed privately operated retail outlets, but in Quebec and most eastern Canadian provinces, marijuana will be sold only in state-run stores, in the same way alcohol is sold. In most of the country, the legal age will be 18 or 19, the same as for alcohol, but Quebec has promised to boost the cannabis consumption age to 21. In Ontario, the most populous province, the only way to buy legal pot as of Wednesday will be by mail order because permits for private outlets are not expected to be issued before next spring after recently elected premier Doug Ford decided to reverse earlier plans to sell cannabis through government-owned stores. 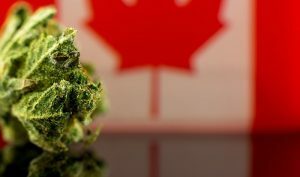 In neighboring Quebec, a dozen outlets are to open, while in British Columbia, there will be just a single provincial store, although it is expected that cannabis will still be available in privately owned stores where sales have long been tolerated. Federal law also will allow adults to grow four plants apiece for personal consumption, extending a rule for legal users of medical marijuana, but Quebec and Manitoba intend to ban personal growing outright. And foods containing cannabis, such as cookies and candies, will remain illegal for the next year until the Canadian government completes its regulatory regime for edibles. In the meantime, they are apparently easily available through illicit sources. Several provinces already have complained that cannabis producers have shipped less product than anticipated, which could lead to product shortages. Vic Neufeld, chief executive of Aprhia, one of the top producers, told investors last week that he expects product shortages to occur for two or three months until production increases and there is better understanding of consumer demand. The anticipated shortage of cannabis through formal retail outlets could be a major boost for black-market providers, said Anindya Sen, an economics professor at the University of Waterloo. He notes that many of these suppliers already use websites, apps and even home delivery for their offerings. Despite the hiccups, Sen said he believes Canada has an opportunity to take a leading role in an emerging industry. “A lot of European countries will be looking at what is happening here,” he said. “If Canada gets it right, it could be a world leader” in creating systems to produce and process commercial amounts of cannabis. Already, there is an increase in stock market interest for Canadian cannabis producers who have floated their shares. Despite the fledgling nature of the industry, the value of the shares has surged with market capitalization of the top five producers reaching $40 billion, a situation that some consider a bubble. Cannabis legalization is one of Trudeau’s signature issues, although implementation has proved more complicated than anticipated. In the past, he has admitted to smoking “five or six times” but said he never enjoyed it much. A spokesman said that any consumption by the prime minister took place “many years ago,” and that Trudeau has no plans to purchase or consume cannabis once it is legalized. For Canadians crossing the border into the United States, the situation will remain risky for anybody who uses cannabis, even after the law changes. “Anybody who admits to having violated the law relating to a controlled substance is inadmissible to the U.S.,” according to U.S. Customs and Border Protection. Len Saunders, an immigration lawyer in Blaine, Wash., who specializes in cross-border issues, said Canadians crossing the border are being placed in a difficult position. If they are asked by a U.S. border official whether they have used cannabis and admit they have, they may be barred entry. If they deny having smoked marijuana and are found out to have lied, they are in even more serious trouble. What Saunders suggests to his clients who have smoked is not to answer a cannabis question from a border officer, which is the individual’s right. But the Canadian should not attempt to cross the border that day. U.S. citizens have no such risks because U.S. officials cannot legally bar a citizen from entering the country, Saunders said. But Customs and Border Protection last week agreed to relax its position related to Canadians working in the cannabis production business.